Create the Life You Really Want: Cell Signaling: It's Amazing How Your Cells Talk To Each Other! Cell Signaling: It's Amazing How Your Cells Talk To Each Other! Every minute of the day your body completes complex tasks. Whether it’s maintaining body temperature or keeping your hand away from a hot stove, your trillions of cells do all the talking needed to help you function. This effective, efficient form of communication is a process called cell signaling. The network needed to send and receive these messages is complex. It consists of an army of messenger molecules to spread the signal across and between cells (signaling molecules). They’re seeking targets that receive the initial signal (receptors). And finally, the interaction of messengers and receptors creates a final cellular consequence (the cell responding to the initial signal). There are four general methods of chemical signaling. They’re broken down by the distance each signal travels between sending and receiving cells. Autocrine Signaling: When cells send signals to themselves, this how they do it. In autocrine signaling, the cell releases a chemical signal that binds to a receptor on its own surface. This method may seem strange, but autocrine signaling is important. It helps cells maintain integrity and divide correctly. This is crucial during development and helps cells reinforce their identity. Paracrine Signaling: This takes place across short distances between two cells. This method of communication allows cells to coordinate movement and activity with their neighbors. An example of this is called synaptic signaling. That’s when signaling occurs across the tiny gap between two neurons. This gap is also known as a synapse. You can also call these neurotransmitters. They send messages from neuron to neuron to help our brain and central nervous system work together. Endocrine Signaling: To send messages across long distances, cells use this method. Endocrine signals travel through the bloodstream to reach target tissues and cells. Signals that originate in one part of the body and travel to their target through the bloodstream are called hormones. Growth hormone (GH) is a great example. The pituitary gland releases this hormone, which stimulates growth in cells, cartilage, and bones. In this example of endocrine signaling, GH leaves the pituitary gland and travels through the blood stream to the cells throughout the body. The hormone then instructs your bone and cartilage cells to divide, helping you grow taller and stronger. Direct-Contact Signaling: Gap junctions—tiny channels that connect neighboring cells—are found in plants and animals. These gap junctions are full of water and allow small signaling molecules to travel across the channel. This is cell signaling through direct contact. It allows for entire groups of cells to respond to a signal that only one cell received. Chemical signaling isn’t your body’s only form of communication. Many cells also respond to electrical or mechanical signals. Two well-known examples of this would be regulating your heart beat (electrical) or signaling muscle growth following exercise (mechanical). Your heart is composed of four chambers. Two supply blood to the lungs while the other two send blood to the rest of the body. Dividing the work means your heart does not beat all at once. It’s not like flexing a bicep. The heart beats more like a wave moving across the ocean. This very defined beating pattern is initiated and synchronized by electrical signals. Mechanical signals (think physically changing the shape) in muscle cells can lead to their growth and strength gains. When muscle cells are stretched—otherwise deformed or damaged—calcium ions flood into the muscle cell. This flux of calcium ions is the intermediary, changing the mechanical signal into a chemical one. The presence of calcium ions signals a number of cell signaling pathways inside of the muscle, including hormones responsible for muscle growth. Two of your senses—touch and hearing—are additional examples of mechanical signaling. Your skin’s sensory cells respond to the pressure of touch. And sensory cells in the inner ear and brain react to the movement of sound waves. Whether it’s chemical, electrical, or mechanical, these processes share a similar goal. The human body has developed a number of mechanisms to sense, respond, and adapt to your environment—inside and out. Large proteins called receptors help cells recognize signals sent to them. Receptors can be located both inside and outside of the cell or anchored into a cellular membrane. Signaling happens when specific molecules bind to their particular receptors. You see, this is a highly specific process—just like how a lock and key work. There are two classes of receptors: intracellular and cell-surface receptors. Location is important, so you can probably guess how they got their names. Intracellular receptors are located inside the cell. Signal molecules must travel through pores in the cell’s membrane to reach this type of receptor and elicit a response. Cell-surface receptors are easier to get to. These receptor proteins are embedded in the cell’s membrane. They bind with signaling molecules on the outside of the cell, but ultimately relay the message internally. Whether the signal is received inside or outside of the cell doesn’t matter. Once a signal molecule is properly bound to the correct receptor protein, it initiates cellular signaling inside the cell. These intracellular signaling pathways amplify the message, producing multiple intracellular signals for every bound receptor. The amplified signal then propagates throughout the cell and elicits a response. This doesn’t just happen one at a time. Cells receive and respond to multiple signals at once. The purpose of cell signaling is to respond and adapt to your internal and external environment. Since they help your body adjust, properly functioning cell-signaling pathways are essential to maintaining and promoting health. So when cell-signaling pathways work well, your body runs smoothly. And the environment—internally and externally—can impact your cells. That’s because your cells are really just “bags” of chemical reactions. They require specific conditions to make the reactions work. That includes proper temperature, pH, and energy status. Your cells need to sense these conditions. If any of these three factors changes outside of a very small range of tolerance, all of that biochemistry stops. That’s when serious problems can occur. For example, our normal body temperature is 37°C (98.6°F). A variance of only +/- 3°C (+/- 5°F) can be life threatening. Hypothermia can set in at 35°C (95°F). If our temperature raises to just 40 °C (104 °F) because of dehydration, exposure to extreme heat, or fever, it is an equally life-threatening situation. Your body’s pH is similarly tightly regulated. Our normal pH is 7.4. If it falls below 6.8 or raises above 7.8, irreversible cell damage ensues. You need a tremendous amount of energy to run your body. That’s why regulating energy is important. Just like the temperature and pH examples above, your body tightly regulates its energy balance. Through cell signaling pathways (some directly related to glutathione), our cells have the ability to turn energy production up or down as needed. If energy balance falls out of its very tightly regulated normal range, cellular function is critically impaired. 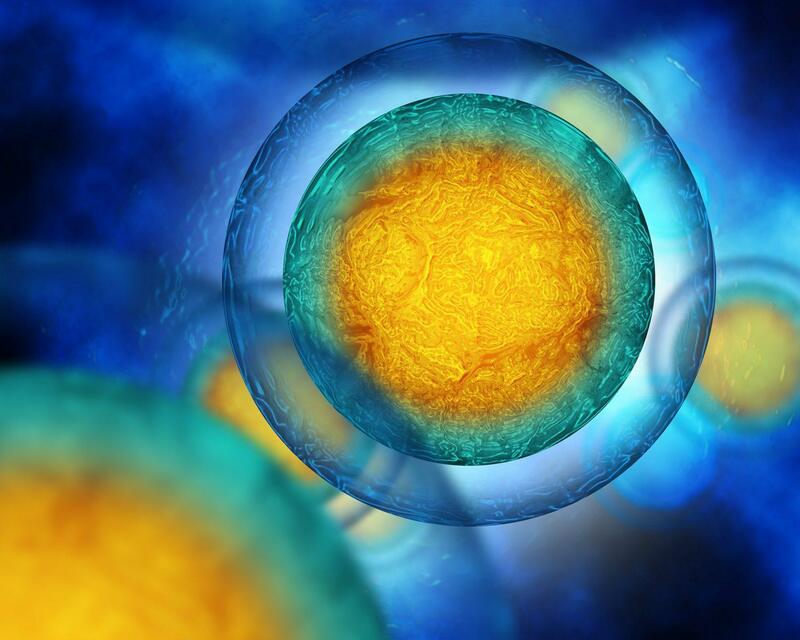 Detoxification is another example of signaling helping with cellular maintenance. You’re constantly exposed to toxins, either inadvertently through our diet and environment or directly through the consumption of alcohol or medications. Through an extensive signaling network, your cells can sense when they are exposed to toxins. Recognizing the presence of a toxin kicks off a process that deals with it. That starts with upregulating the appropriate cell signaling pathways. This will ultimately ramp up your detoxification mechanisms. If your body didn’t have the inherent mechanism literally built into its DNA, every day would be a challenge. The body’s ability to constantly sense, adapt, and correct changes in pH, temperature, energy status, and toxin exposure is essential for your overall health. And we have cell signaling to thank for that. Certain things can negatively affect proper cell signaling. These include an unhealthy diet, a lack of exercise, environmental factors, exposure to toxins, and the normal aging process. However, recent research has shown that living a healthy lifestyle along with a number of vitamins, minerals, and phytonutrients can support cell signaling pathways. Your cells utilize several vitamins and minerals to effectively communicate. Vitamin D, sodium, potassium, magnesium, and number of others play important roles in cell signaling. Your body needs to maintain a healthy balance of these key nutrients in order for keep communicating properly. Epicatechin found in chocolate and the seeds of grapes has been shown to support cardiovascular health. Sulforaphane and ECGC found in broccoli and green tea, respectively, have been shown to turn on detoxification pathways. Lipoic acid found in spinach and other vegetables supports detoxification but also can help maintain a healthy weight. The curcumins found in turmeric root have been shown to help maintain a balanced and healthy immune system. Eating a diet rich in protein and healthy fats can help your body’s cell-signaling pathways. That’s because omega-3 fatty acids and other healthy fats are needed to maintain the shape of your cells. The membrane surrounding each of your cells is made primarily of fats called phospholipids. These allow the membrane to remain fluid and not ridged. They also facilitate the free flow of molecules across the cellular membrane, which ultimately helps with cellular communication. The last thing you can do to maintain healthy cellular communication through nutrition is eating foods that protect against damage. Free radicals and other dangerous forms of oxygen erode healthy cells and damage DNA, signaling molecules, and proteins. And once damaged, they aren’t going to work as well. So taking in antioxidants can defend your cells from such damage. Your cells receive signals through various signaling methods (chemical compounds, mechanical stimuli, and electrical impulses). Signaling molecules join the appropriate receptor either on a cell or inside it. This triggers a chain of events that incorporates the signal and amplifies it in the cell. Finally, the result is a cellular consequence of some sort—which obviously depends on the signal sent. And don’t lose the importance of this process in the details of how it works. All that talking amongst your cells allows them to adapt to their internal and external environment. This ability to sense, respond, and adapt makes cell signaling essential to maintaining your health. Hopefully you understand a little bit about how cell signaling happens and why it’s important. Now help your cells keep the conversation going. That means protecting and supporting your cells with a healthy lifestyle and a diet rich in vitamins, minerals, phytonutrients, antioxidants, proteins, and healthy fats. Berridge MJ. Unlocking the secrets of cell signaling. Annu Rev Physiol. 2005;67:1-21. “Cell Signaling.” Nature News, Nature Publishing Group, 2014, www.nature.com/scitable/topicpage/cell-signaling-14047077. Accessed 19 Sept. 2017.
Cooper, Geoffrey M. “Signaling Molecules and Their Receptors.” The Cell: A Molecular Approach. 2nd edition., U.S. National Library of Medicine, 1 Jan. 1970, www.ncbi.nlm.nih.gov/books/NBK9924/. Ermak G, Davies KJ. Calcium and oxidative stress: from cell signaling to cell death. Mol Immunol. 2002;38(10):713-21. Eveleth, Rose. “There are 37.2 Trillion Cells in Your Body.” Smithsonian.com, Smithsonian Institution, 24 Oct. 2013, www.smithsonianmag.com/smart-news/there-are-372-trillion-cells-in-your-body-4941473/. Accessed 20 Sept. 2017. “Introduction to cell signaling (Article).” Khan Academy, https://khanacademy.org/science/biology/cell-signaling/mechanisms-of-cell-signaling/a/introduction-to-cell-signaling. Accessed 24 Sept. 2017. Martin GS. Cell signaling and cancer. Cancer Cell. 2003;4(3):167-74. Mattson MP. Hormesis and disease resistance: activation of cellular stress response pathways. Hum Exp Toxicol. 2008;27(2):155-62. Von essen MR, Kongsbak M, Schjerling P, Olgaard K, Odum N, Geisler C. Vitamin D controls T cell antigen receptor signaling and activation of human T cells. Nat Immunol. 2010;11(4):344-9. Thanks to www.askthescientists.com for this article. From Deanna: Usana addresses the cell signaling processes with its new breakthrough InCelligence technology found in many of its products, such as the base product of vitamins, minerals and antioxidants, CellSentials.